You may have noticed that there is a lot of marketing and promotions done by cord blood banks nowadays. But what is a cord blood bank exactly? Well, it is a medical bank where doctors extract the hematopoietic stem cells (HSCs) from the newborn umbilical cord and can be preserved indefinitely. You can bank the cord blood in a private or a public blood bank and can be used later on to treat diseases and illnesses. This may sound like a wonderful medical breakthrough, but there are many myths about private cord blood banking making the rounds. Let us have a look at these myths and break the misconceptions clouding the minds of parents-to-be. Can It Harm My Baby Be Harmed? Collection of cord blood is in no way harmful to the baby or the mother. The blood that is discarded after birth normally is collected and stored at the cord blood bank. 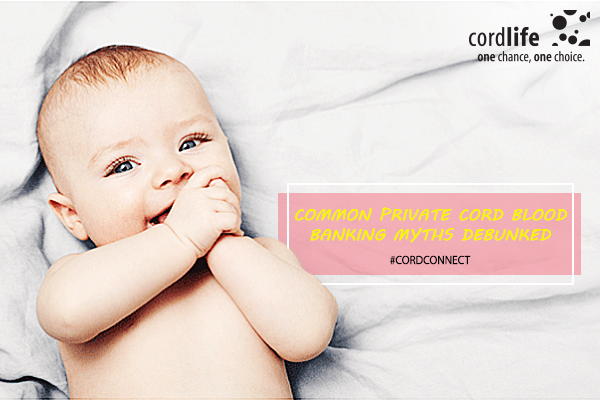 This is a complete myth as private cord blood banks give exclusive accessibility and control to the cord blood you store. They charge you annually for storing the cord blood and will give you access as and when you require it in the future. Unlink public banks wherein the blood may be sent further for research purposes. Wrong. Private blood banks have to follow stringent norms in terms of quality, cost, location, and need to be FDA-approved and AABB-accredited. However, not all private blood banks have DA approval and AABB-accreditation. Those who have both, have high annual storage fees and better facilities to store your baby’s cord blood for a longer duration. Many to-be parents often think storing their baby’s cord blood in private banks is better than donating it to a public bank. If your family has a history of certain diseases and disorders, then choosing a private blood bank may sound logical. However, there is no such history and you don’t even know if you will ever need to access the stored cord blood, then donating the cord blood to a public bank is a wise decision. This statement does not hold much ground as autologous transplants have been in use for more than a decade. Use of one’s own stem cells has helped in the treatment of many diseases ranging from neuroblastoma, lymphoblastic leukemia, etc. Current studies have shown, stem cells stored for about 24 years remained viable without any decrease in viability or proliferation. It is even claimed by cryopreservationists these cells can be stored indefinitely in a controlled environment. 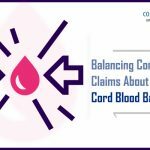 According to the Indian Council of Medical Research (ICMR), there are certain issues related to the self-use of cord blood as promoted by cord blood banks. The ICMR guidelines for stem cell research (2013) states there is no scientific basis for preservation of cord blood for future self-use. Thus, this practice is not officially recommended and any use other than bone marrow transplantation apart from clinical trials is termed as a medical malpractice. It is not a good idea to make a last-minute decision in most of the cases. Your hospital may not have a cord blood collection kit ready during the child’s birth. There are many logistics that need to be figured out before you can store the cord blood. Thus, make sure you enroll early to a cord blood bank of your choice for smooth and hassle free collection during the birthing process. 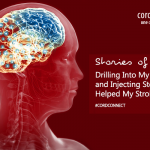 These are few of the common cord blood myths that are busted above. Cord blood does have many benefits in cases where there is a family history of leukemia or thalassemia. However, it will remain as a personal choice whether or not one should store the cord blood.